If you have ever bought or sold a home, you know that the process can be a long and complicated one. Even after you have spent months searching for the perfect home, you must then jump through even more hoops to finalize the deal. An important part of the process, and maybe even the most important (some would argue), is hiring a home inspector to perform a home maintenance inspection. This type of inspection ensures that everything in the house is functioning properly as well as identifies items that may need immediate and/or future attention. The home buyer is responsible for paying for a home inspection, but can always choose to opt out if they wish. However, this is not a good idea. Performing a home maintenance inspection should always be a mandatory part of all home-buying experiences. Unbiased documentation of certain aspects of the house, including radon levels and thorough termite inspections, are crucial when determining of a home is right for you and your family. Falling in love with a home can be a wonderful thing! The floor plan, perfect exterior, and lavish amenities can all play a large role in winning over potential buyers- but all of these aesthetics can be hiding the real problems. Hiring a professional home inspector allows for a deeper, more comprehensive examination of all aspects of your home. With this amount of detailed inspection, potentially dangerous and expensive issues that previously went unseen can be brought to light. The truth is, not all homes are as great as they appear on the outside. A deeper analysis of the homes condition should be made before purchasing decisions are made. Even after a buyer and seller have come to terms on an agreement, a home inspection provides opportunities for further renegotiating. Based on the inspector’s report, certain items might need to be repaired or conditions of various aspects may alter the previously agreed upon price point. In fact, the National Association of Realtors discovered that 14% of sales are never finalized as a direct result of home inspections performed. Obtaining the proper inspections early on in the process can help avoid last minute issues related to buying or selling a home. Walls, Ceilings, Floors, Windows, etc. These inspections help determine any safety issues, leaks, foundation concerns, and other things that may alter buying decisions. The benefits of having a home inspection performed by a trained professional greatly outweigh the costs associated with it. An inspection report guarantees that the complete condition of the home and all of its components and any repairs that may need to be performed are identified and understood. Ultimately, if you are buying or selling a home, you want peace of mind in the outcome of the transaction- a home maintenance inspection goes a long way in providing this peace of mind. 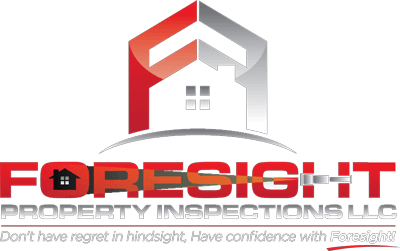 If you’re buying or selling a home, contact Foresight Property Inspections, LLC today! We are a family oriented business that provides honest, prompt, and straight forward service with a smile. Get started today and schedule your home maintenance inspection!